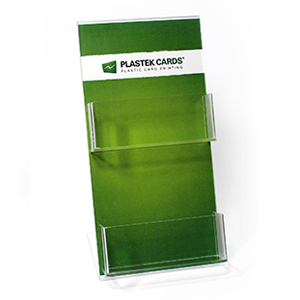 This 5″ x 10″ high, two pocket display is a high-profile space saver, and features a tall, graphic-holding background that can easily be changed out. Card holders are 4.5″ wide (inside dimensions) x 1.5″ high. Clear acrylic.